This mod reduces the dimensions of the mirrors that are part of the HUD (those shown/hidden by pressing F2). This is the same mod I have already made for ETS2. 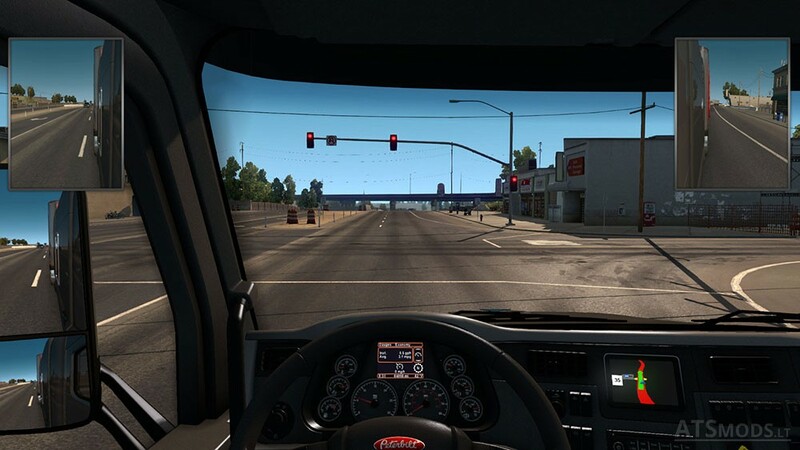 It is based on the mod “Small Left hand HUD Mirror for UK rhd Trucks” by Reef_UK at Crockett’s House Forum. Thanks go to him for creating the original mod. Two sizes are included: either 70% of the original size or 50% of the original size. As with the default mirrors, pressing F2 will display either left only, right only or both.